On Monday, Teagan woke from her nap with a crusty, red eye. I'll spare you the pictures. It was obvious. Pink eye. Both viral and bacterial pink eye, as most parents know, is highly contagious. While it can be uncomfortable for the child, it generally doesn't set them back, unless it is accompanied by other issues, like a cold or sore throat. Apart from the redness, Teagan was otherwise ok so I assembled my pink eye arsenal, some of which was used for prevention of pink eye in both Quinn and myself. 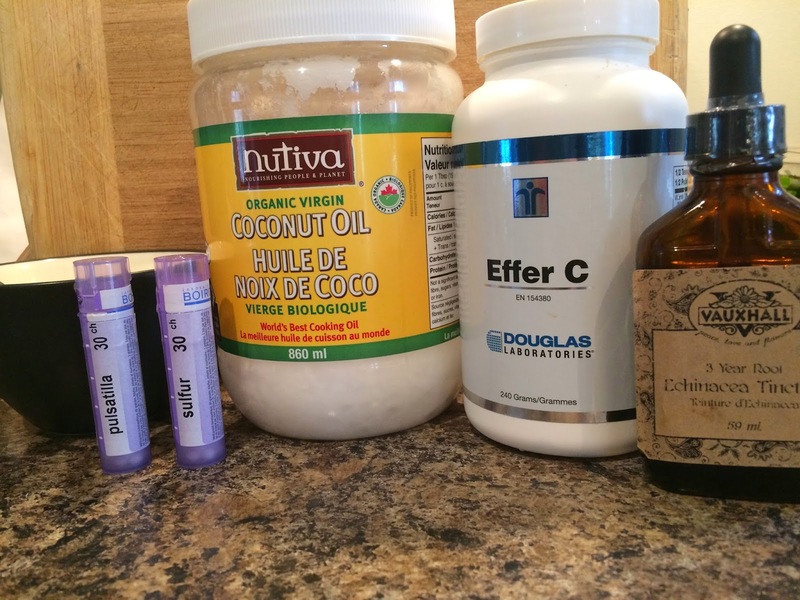 coconut oil, vitamin C and echinacea tincture. - By far, the best remedy for pink eye is breast milk, but I know that this is not something that everyone can access easily! Fortunately, Teagan is still breastfeeding (as Quinn self-weans). I expressed a few drops into a bowl and put it directly on Teagan's closed eye. I gently held her head, while singing the Wheels on the Bus, allowing the breast milk to soak into the eye. I did this 3-4 times per day. - Coconut oil is "anti-everything". It is anti-viral, anti-bacterial, anti-microbial. It also contains lauric acid, which is found in breast milk. Lauric acid has fantastic disease-fighting properties. With clean hands, I put some coconut oil on her eye and wiped from the inside out. 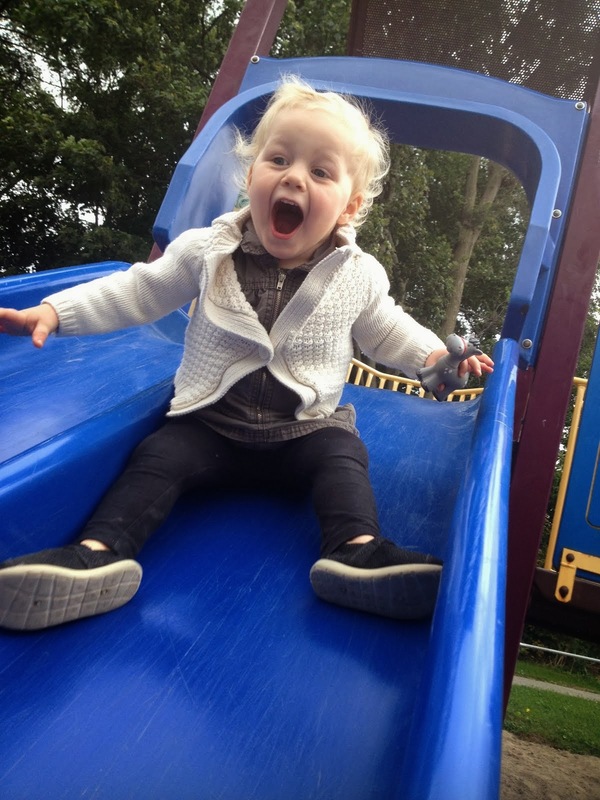 - I'm a huge fan of homeopathic remedies, especially for young children because they are safe and gentle. The catch is that there are a TON of them. You will need to do a bit of research or speak to a homeopathic doctor to figure out which remedy is best for you or your child. Pulsatilla turned out to be the perfect remedy for Teagan for a number of reasons. Usually, homeopathics should be dosed individually (although there are exceptions). I did not give her the other remedy (sulfur), but had it on hand as a back up if the eye continued to get worse. - Pink eye is the result of a depressed immune system. To boost the immune systems of both girls, I gave them 500mg of vitamin C powder. This is good for both treatment and prevention. - Echinacea is a fantastic short-term immune system booster. I also gave this to both girls for a few days. Dosage depends on brand. St. Francis Herb Farm makes a fantastic children's immune system booster that I usually have on hand for acute usage. Within two days, Teagan's pink eye was completely gone and her beautiful blue eyes are back at school today! Disclaimer: I am not a doctor. This blog is not meant to give medical advice. Always consult a naturopathic or homeopathic doctor before giving remedies to a child.